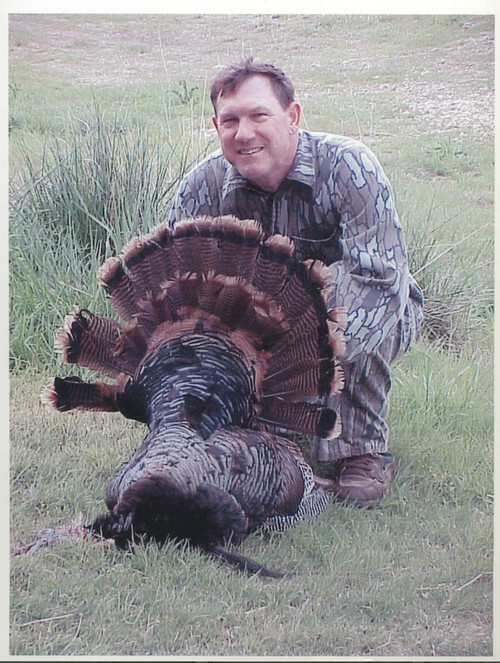 A photograph of Mike Hayden, Kansas Governor, holding a Rio Grande Turkey he shot while hunting in Woods County, Oklahoma. Born in Atwood, Kansas, Hayden entered politics after a decorating career in the military. Beginning as state representative in 1962, Hayden held offices in the Kansas House of Representatives and the Interior for Fish and Wildlife. In 2002, he returned to Kansas to accept a position as Secretary of Wildlife and Parks.